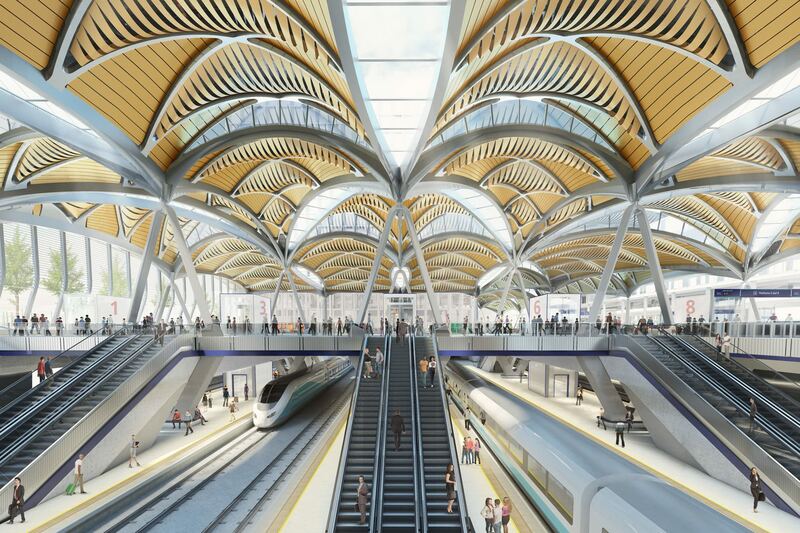 HS2 has begun its search to find construction partners to deliver the redevelopment of London Euston station and build a brand new interchange at Old Oak Common. HS2 said the redevelopment of the two sites will “unlock 79,000 jobs and 29,000 homes”. Shortlisted bidders will be invited to tender for both contracts by the end of this year. HS2 plans to award the contracts in autumn 2018. The contracts for the two stations in the West Midlands will be awarded in 2020. Eleven new platforms are being built in phases at London Euston in preparation for HS2, while a brand new station needs to be constructed on the railway sidings at Old Oak Common. In a statement, Transport Minister Paul Maynard said: “The launch of the search for construction teams to build the southern HS2 stations is another major step towards making Britain’s new railway a catalyst for growth across the country. And next year HS2 Ltd will begin the hunt for companies to build the two Birmingham stations. London Euston has been closed over the bank holiday to allow preparatory works for HS2 to begin. Work won’t just focus on Euston’s main line station; its London Underground station will be connected to Euston Square station as part of the transformation programme as well. I think that London Euston station could be renamed as London Central station because of HS2. Or could be renamed as London Euston International “HS2” station.